Welcome to the dental office of Matthew B. Harrison, DDS, where quality dentistry is as highly regarded as your comfort and satisfaction. 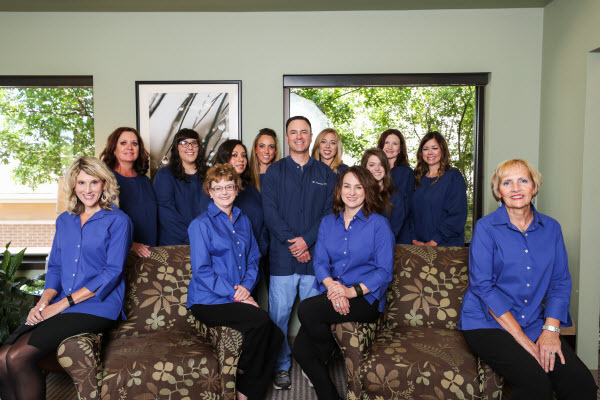 Our office is focused on the oral health of your entire family, and we delight in providing gentle and welcoming care to youthful patients and compassionate and restorative treatments to mature patients. We value your time and respect your wishes, as we strive to be your ally in oral health. Dr. Harrison received outstanding training, having served in the U.S. Army as a Brigade Dental Surgeon. He also completed an Advanced General Dentistry residency at Fort Meade, receiving specialized training in endodontics, periodontics, orthodontics and dental implant treatment. Dr. Harrison also continues his studies with the Kois Center for Dental Excellence in Seattle on an annual basis. He is well-rounded to provide general, cosmetic, and restorative dental services. Digital impressions and intraoral cameras allow Dr. Harrison to immediately share with you his areas of concern in your smile. His philosophy is to keep you well informed, so you feel empowered to make wise decisions about your dental care. For a dental office that can conveniently provide a wide range of dental care services, contact the office of Matthew B. Harrison in Rogers. His honesty, patience, and quality care are top priorities and give patients a reason to smile with healthy and beautiful dentition.